Ma Yoga Prenatal Yoga San Juan Capistrano - and Mom + Baby yoga too! 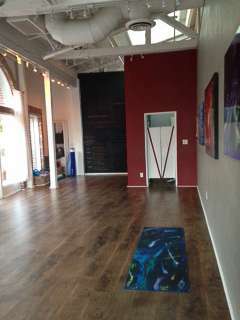 Welcome to the Ma Yoga San Juan Capistrano Location Page! Scroll down for our Class Schedule, contact info, parking instructions, recommended caregivers in the area, and instructions for booking your first FREE class. If you’re just landed here searching for Prenatal Yoga or Mom + Baby Yoga, please go up to “Classes” above, where you’ll find our Locations, Prices, Descriptionsand How to Book Your First Free Class. So happy to have you as part of our Ma Yoga community! Don’t worry, we never charge for booking, only attending. We do appreciate an email if you can’t make it – just email Jamie at jamie@jamiehansonyoga.com. Welcome to Ma Yoga San Juan Capistrano – Align Pilates Center & Yoga Center! Please join other like-hearted moms-to-be for this all-levels, strengthening and therapeutic Prenatal Yoga class! You will create space in your body, in your mind, and in your heart for baby and mama to grow together. All levels of experience and trimesters are welcome – it’s never too late or too early to start! I found yoga in 2004. In addition to healing my body, yoga has completely transformed the way that I relate to others and most importantly how I relate to myself.I became a registered yoga instructor in 2009 because I wanted to support others in this journey towards heali ng.I believe motherhood is one of the most important jobs in the world and feel strongly that yoga can be a tool to help support women during this time. This prenatal class will help you: develop stamina, strength, and balance, calm the nervous system, relieve tension in the low back, hips, chest, shoulders and neck, prepare for labor, connect with baby, increase circulation, practice breath work, create a sense of community and sisterhood, nurture yourself. We look forward to having you join us. Give yourself the gift of support throughout your pregnancy.– Jamie Hanson, Prenatal Yoga Instructor.Learn more about Jamie at www.jamiehansonyoga.com. Align Pilates Center, is in Downtown San Juan Capistrano near the mission. We are located just west of I-5, exit on Ortega Highway/74. It is located behind the Marshall’s in Plaza Del Obispo Shopping Center. Align Pilates offers a full spectrum of pilates classes, which is a wonderful compliment toalignment-based Mom + Baby classes! For more information about this location, please click here to check out their website: alignpilatescenter.com. Just choose the Prenatal Yoga or Mom Yoga + Baby class you want to go to by going up to “Locations”. I started Jamie's prenatal yoga class at 11 weeks into my pregnancy until nearly the end of my third trimester. I was hesitant to start yoga again due to previous knee injuries from running. My fears were wiped out on the first day! Jamie made me feel so comfortable and taught me modified poses to accommodate my knees. I highly recommend this class to all pregnant ladies. Jamie is truly passionate about yoga. She understands all the changes us pregnant women go through, both physical and emotional, and incorporates how to deal with these changes (whether it be yoga poses or simply chatting with each other) in her classes. I also had the pleasure of taking classes taught by Jamie's substitute while she was out. Jenny was also an amazing prenatal yoga instructor. Ma Yoga definitely has the best yoga teachers. If you're looking to unwind, prepare for labor, or seeking a community of other soon-to-be mamas, this is the class for you. I am absolutely loving Jamie's Ma Yoga classes! I started taking her yoga classes when I was about 8 weeks into my pregnancy. There was even another gal there that was earlier in her pregnancy than me! So, regardless of what stage of your pregnancy you are in, this is the yoga class for you! Jamie is so knowledgeable and very hands-on. The classes are very small and intimate which allows you to really get to know yourself, your body, Jamie, and the other expectant mothers you are taking classes with. Jamie focuses on poses that will help strengthen your muscles and that will help once you have to deliver your little one. These classes are after work (5:15), which is great as you can unwind after a hectic day. They are over an hour, which is also awesome. I am planning to continue with Jamie throughout the duration of my pregnancy! New and continuing yoga practitioners welcome! I highly recommend her classes for pre-natal yoga! Prenatal yoga with Jamie is an amazing experience! I look forward to it each week and love the community of mamas that Jamie brings together. Everyone is very welcoming and it is joy to get to know all the ladies in the class! Jamie is an incredible teacher, with so much calm and helpful advice...wonderful all around! I took the prenatal yoga class with Jamie and she was great! She is well versed as an instructor, and recently had a baby, so she is aware of the different stages of pregnancy and moves that are appropriate physically. She always makes you feel comfortable from the start, and will help you with achieving poses by adding modification blocks or blankets. I would definitely recommend it to those mamas-to-be or even postpartum! Jaime Hanson is a skilled and personable prenatal yoga instructor. I highly recommend the facility and this instructor. For more testimonials, please click here. Have you taken a mom yoga or prenatal yoga class at this location that you’ve enjoyed? If so, please let us know what did it for you, by emailing jessica@mayoga.com. It helps us a lot, and other women feel more at ease joining us. Thank you! They are licensed as Beachside Birth Center as an accredited facility. They strives to provide the utmost care to all of our patients across a broad spectrum of social and economic environments. With our staff of highly trained midwives and doulas, it is our goal to give each expecting mother the highest in care, comfort, and quality at our birth centers. South Coast Midwifery is a first-class women’s health center. Their exclusive birth center is the first accredited center in the County. The founder and director, Lorri Walker, RNC, NP, CNM, has created a warm, nurturing place for women and their families to come for personalized health care, support, empowerment, and social interaction with people of like mind. Their body therapy business began in Orange County in 1992. Through the years their training has continuously increased and our passion for the field has immensely flourished. Over the years they have grown from a small massage firm, expanding to skin care, body treatments and selling products that you can trust. The beautiful Wellness Day Spa is now full service, with everything from infrared detox treatments to body wraps, massages, clinical aromatherapy and nourishing facials. With many years of experience, StressBusters can offer you the best and latest in body and skin care in the industry. At the OC Doula Collective they are passionate about providing families with professional, compassionate and remarkable care during pregnancy, birth and early parenthood. Since that initial spark, They have poured their energy, love and dedication into their vision and created Orange County’s Premier Full Service Doula Agency. Their agency was established in 2014, and their parenting community & education center in Costa Mesa was launched the following year. Janell Bartzatt – birth and bereavement doula. From Janell – As a birth doula, I come alongside you and your partner during the labor process; I don’t do the work for you, however, I am there to compliment you and your partner. I also want to ensure that you have any information you need to make an informed decision during your pregnancy, labor and into that foreign country known as parenthood. I value you as a human and want to support you where you are. I consider it my personal passion to ensure that you have a positive birth experience, whatever that looks like for you. Share with me what a dream birth looks like for you and let’s strive for it. While every single birth is unique and beautiful, some degree of flexibility is also important during the process should the need arise to deter a bit from your ideal. Birth is beautiful and I look forward to laboring with you. Have you taken a class at this location that you’ve enjoyed? If so, please let us know what did it for you, by emailing jessica@mayoga.com. It helps us a lot, and other women feel more at ease joining us. Thank you!